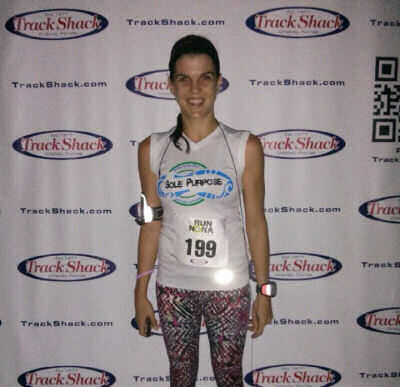 Track Shack - May: What race have you run that was the farthest from home? Be the Customer of the Month! What race have you run that was the farthest from home? Where was it? Share a photo on Facebook! Deadline: April 18th. When asked to tell us about your favorite Track Shack race, the responses poured in. You all had favorites and for various reasons, many of you choosing a race because that was your very first road race or the first time you took a certain distance from a 5k to a half marathon or maybe you even PR’d on that race. You chose one of our races because of the cause, the family atmosphere, the nighttime fun, the support and empowerment of women, the determination and smiles on kids’ faces, the bling, the swag, the course, the peacocks and more, but most of all, the fun! Noelle Trevizan was selected as the April Adidas Customer of the Month. Her favorite race is the Winter Park Road Race because of the beautiful course, nice distance, amazing swag and always having a wonderful post-race party with food and friends. 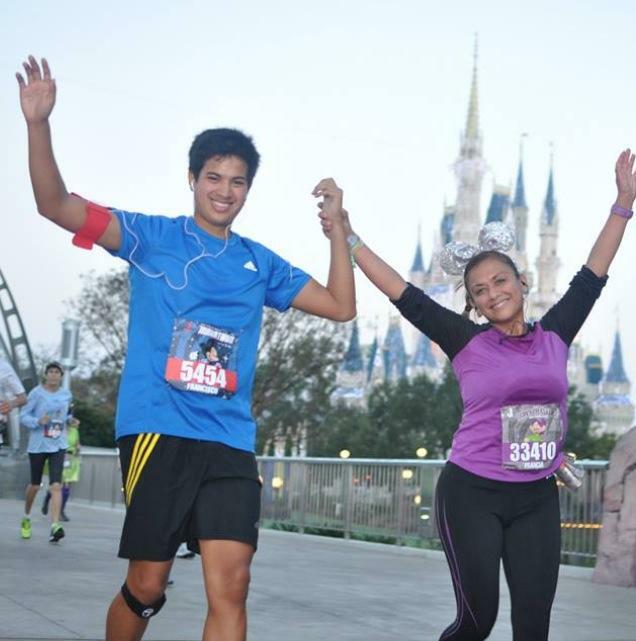 As a Floridian, that would be the Tinker Bell Half Marathon (and 10K) at Disneyland in Anaheim, CA. I HAD to have that special edition pink Coast To Coast medal for completing Tinker Bell and Princess Half Marathons.It was also my very first trip to DL and California and both did not disappoint. I just started running a little less than a 1.5 years. My first half was the Princess 2013. The running community is a very supportive one and I fell in love with running. A little less than a year I ran Dopey and was so proud of myself. As crazy as you may think this is, but I'm allergic to running. 100% true! My body overheats while running long distance and when it reaches a certain level I break out completely ( I've ended up in the emergency room). However, I've learnt to know when this starts to happen and I slow down to try to cool off. I have to watch my pace and monitor how fast my heart is pumping, but I've got it down :) After completing Dopey, the following week I ran Tinker Bell in California and got my coast to coast. I owe it all to the inspirational runners I read about and the running community to support one another regardless of your shape, race, or speed! In October, 2013 I ran my first half marathon in Boston. This was special in so many ways. I was born and raised in Boston before moving to Orlando in 1999 and my roots there are strong. This race was just 6 months after the bombing, and was organized by the Boston Athletic Association. To say I was intimidated would be putting it mildly. I knew there would be a lot of hills and living in Florida makes it difficult to train for hills. Could I do it? Considering the events the previous April, could I hold it together emotionally? Plus...it was my first half marathon! Boston Strong shirts and banners were everywhere. I lined up, the starting buzzer went off, and so did I. Non stop, hills and all. I was so inspired. When I finally saw the finish line within sight, I literally got choked up. My family had come out to see me and they all took pictures as I crossed the finish line (15 minutes earlier than I estimated!!!) Emotional ? Yes. Draining? absolutely. One of the best days of my life? Without a doubt. I was hooked! As soon as I got home, I signed up for my next half, the OUC half marathon here in Orlando. My name is Scott Hohmann and I'm a (running) addict.